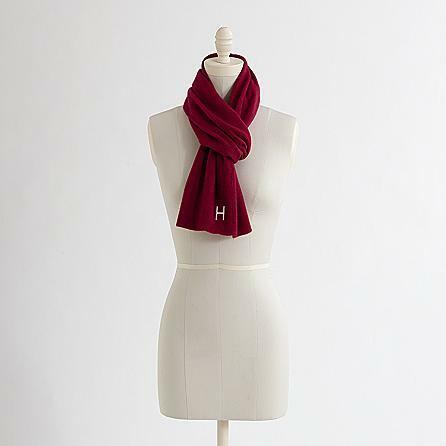 Wrap that special lady in the softness of this exquisite cashmere scarf this holiday season, available exclusively from RedEnvelope. Created from some of the most sought after fabric on earth, this elegant cashmere scarf will bring warmth to her heart this Christmas. With immaculate craftsmanship, a magnificently feminine style and delicate detailing, these scarves make perfect Christmas gifts for women who appreciate a more sophisticated appearance. Choose from a variety of colors including black, blue, oatmeal, red or charcoal. Each cashmere scarf can be personalized with your choice of block or script monogram that includes either one, two or three letters, making this exquisite gift truly one of a kind. Measuring approximately 13 inches wide and 66 inches long, this luxurious cashmere scarf is the perfect size to wrap that special lady in your life in an abundance of delightful warmth this holiday season. I love this scarf! It looks so comfy and warm! The color is wonderful! 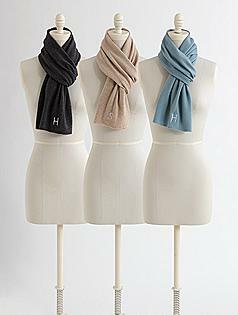 I would buy this for myself as a treat because I don’t have any scarves!